Arratia, P.E., Cramer, L.A., Gollub, J.P. and Durian, D.J. The effects of polymer molecular weight on filament thinning and drop breakup in microchannels. New J. Phys. 11, 115006, doi:doi:10.1088/1367-2630/11/11/115006 (2009). Han, Y., Alsayed, A., Nobili, M. and Yodh, A.G. Quasi-two-dimensional diffusion of single ellipsoids: Aspect ratio and confinement effects. Phys. Rev. E. 80, 11403, doi:10.1103/PhysRevE.80.011403 (2009). Christian, D.A., Tian, A., Ellenbroek, W.G., Levental, I., Rajagopal, K., Janmey, P.A., Liu, A.J., Baumgart, T. and Discher, D.E. Spotted vesicles, striped micelles and Janus assemblies induced by ligand binding. Nature Materials 8, 843-849, doi:10.1038/nmat2512 (2009). Fisher, J.A.N., Susumu, K., Therien, M.J. and Yodh, A.G. One-and two-photon absorption of highly conjugated multiporphyrin systems in the two-photon Soret transition region. J. Chem. Phys. 130, 134506, doi:DOI: 10.1063/1.3089795 (2009). Garra, J., Vohs, J.M. and Bonnell, D.A. The effect of ferroelectric polarization on the interaction of water and methanol with the surface of LiNbO3 (0001). 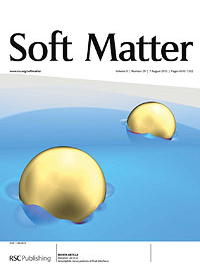 Surface Science 603, 1106-1114, doi:10.1016/j.susc.2009.02.034 (2009). Garra, J., Vohs, J.M. and Bonnell, D.A. Defect-mediated adsorption of methanol and carbon dioxide on BaTiO3(001). 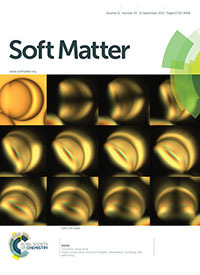 Journal of Vacuum Science & Technology A: Vacuum, Surfaces, and Films 27, L13-L17, doi:10.1116/1.3168563 (2009). Gledhill, J.J.M., Walters, B.T. and Wand, A.J. AMORE-HX: a multidimensional optimization of radial enhanced NMR-sampled hydrogen exchange. J. Biomolecular NMR 45, 233-239, doi:DOI 10.1007/s10858-009-9357-4 (2009). Grinberg, I., Shin, Y.H. and Rappe, A.M. Molecular dynamics study of dielectric response in a relaxor ferroelectric. Phys. Rev. Lett. 103, 197601 (197601-197604), doi:10.1103/PhysRevLett.103.197601 (2009). Guo, L., Park, J.H., Lee, T., Chowdhury, P., Lim, M. and Gai, F. Probing the role of hydration in the unfolding transitions of carbonmonoxy myoglobin and apomyoglobin. J. Phys. Chem. B 113, 6158-6163, doi:10.1021/jp900009x (2009). Lee, K.C. and Liu, A.J. Force-velocity relation for actin-polymerization-driven motility from brownian dynamics simulations. Biophys. J. 97, 1295-1304, doi:0.1016/j.bpj.2009.06.014 (2009). Liu, Y., Mills, E.N. and Composto, R.J. Tuning optical properties of gold nanorods in polymer films through thermal reshaping. J. Materials Chem. 19, 2704-2709, doi:10.1039/b901782h (2009). Lubensky, T.C. in P.G. de Gennes’ Impact on Science – Volume I: Solid State and Liquid Crystals (ed J. Proust J. Bok, F. Brochard-Wyart) (World Scientific Publishing Co., Hackensak, NJ, 2009). Moniruzzaman, M., Sahin, A. and Winey, K.I. Improved mechanical strength and electrical conductivity of organogels containing carbon nanotubes. Carbon 47, 645-650 (2009). Percec, V., Imam, M.R., Peterca, M., Cho, W.D. and Heiney, P.A. Self-assembling dendronized dendrimers. Israel J. Chem. 49, 55-70, doi:10.1560/IJC.49.1.55 (2009). Percec, V., Imam, M.R., Peterca, M., Wilson, D.A., Graf, R., Spiess, H.W., Balagurusamy, V.S. and Heiney, P.A. Self-assembly of dendronized triphenylenes into helical pyramidal columns and chiral spheres. J. Am. Chem. Soc. 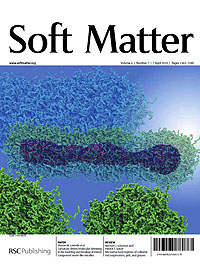 131, 7662-7677., doi:10.1021/ja8094944 (2009) (Front Cover of JACS No. 22, June 10, 2009 and JACS Image Challenge). Percec, V., Peterca, M., Tsuda, Y., Rosen, B.M., Uchida, S., Imam, M.R., Ungar, G. and Heiney, P.A. Elucidating the structure of the Pm3n cubic phase of supramolecular dendrimers through the modification of their aliphatic to aromatic volume ratio. Chemistry (Weinheim an der Bergstrasse, Germany) 15, 8994-9004, doi:10.1002/chem.200901324 (2009). Robbins, G.P., Jimbo, M., Swift, J., Therien, M.J., Hammer, D.A. and Dmochowski, I.J. Photoinitiated destruction of composite porphyrin- protein polymersomes. J. Am. Chem. Soc. 131, 3872-3874, doi:10.1021/ja808586q (2009). Rosen, B.M., Wilson, D.A., Wilson, C.J., Peterca, M., Won, B.C., Huang, C., Lipski, L.R., Zeng, X., Ungar, G., Heiney, P.A. and Percec, V. Predicting the structure of supramolecular dendrimers via the analysis of libraries of AB3 and constitutional isomeric AB2 biphenylpropyl ether self-assembling dendrons. J. Am. Chem. Soc. 131, 17500–17521, doi:10.1021/ja907882n (2009). Swift, J., Butts, C.A., Cheung-Lau, J., Yerubandi, V. and Dmochowski, I.J. Efficient self-assembly of archaeoglobus fulgidus ferritin around metallic cores. Langmuir 25, 5219-5225, doi:10.1021/la8040743 (2009). Tang, J., Yin, H., Qiu, J., Tucker, M.J., DeGrado, W.F. and Gai, F. Using two fluorescent probes to dissect the binding, insertion, and dimerization kinetics of a model membrane peptide. J. Am. Chem. Soc. 131, 3816-3817, doi:10.1021/ja809007f CCC: (2009). Xu, C., Ohno, K., Ladmiral, V., Milkie, D.E., Kikkawa, J.M. and Composto, R.J. Simultaneous block copolymer and magnetic nanoparticle assembly in nanocomposite films. Macromolecules 42, 1219-1228, doi:10.1021/ma8022266 (2009). Zhang, Z., Xu, N., Chen, D.T.N., Yunker, P., Alsayed, A.M., Aptowicz, K.B., Habdas, P., Liu, A.J., Nagel, S.R. and Yodh, A.G. Thermal vestige of the zero-temperature jamming transition. Nature 459, 230-233, doi:10.1038/nature07998 (2009). Zhao, M.S.H., Bonnell, D.A. and Vohs, J.M. Ferroelectric polarization dependent interactions at Pd-LiNbO3(0001) interfaces. Journal of Vacuum Science & Technology A: Vacuum, Surfaces, and Films 27, 1337-1342, doi:10.1116/1.3248268 (2009). Bell, C.B., Calhoun, J.R., Bobyr, E., Wei, P.P., Hedman, B., Hodgson, K.O., DeGrado, W.F. and Solomon, E.I. Spectroscopic definition of the biferrous and biferric sites in de novo designed four-helix bundle DFsc peptides: Implications for O (2) reactivity of binuclear non-heme iron enzymes (dagger). Biochemistry (2009). Bissonnette, M.L.Z., Donald, J.E., DeGrado, W.F., Jardetzky, T.S. and Lamb, R.A. Functional analysis of the transmembrane domain in paramyxovirus F protein-mediated membrane fusion. J. Molecular Biol. 386, 14-36, doi:10.1016/j.jmb.2008.12.029 (2009). Bonnell, D.A., Kalinin, S.V., Kholkin, A.L. and Gruverman, A. Piezoresponse Force Microscopy: A Window into Electromechanical Behavior at the Nanoscale. MRS Bull. 34, 648-657 (2009). Brown, A.E.X. and Discher, D.E. Conformational changes and signaling in cell and matrix physics. Current Biology 19, 781-789, doi:10.1016/j.cub.2009.06.054 (2009). Butts, C.A., Xi, J., Brannigan, G., Saad, A.A., Venkatachalan, S.P., Pearce, R.A., Klein, M.L., Eckenhoff, R.G. and Dmochowski, I.J. Identification of a fluorescent general anesthetic, 1-aminoanthracene. Proc. Natl. Acad. Sci. 106, 6501, doi:10.1073/pnas.0810590106 (2009). Byfield, F.J., Wen, Q., Levental, I., Nordstrom, K., Arratia, P.E., Miller, R.T. and Janmey, P.A. Absence of filamin A prevents cells from responding to stiffness gradients on gels coated with collagen but not fibronectin. Biophys. J. 96, 5095-5102, doi:doi:10.1016/j.bpj.2009.03.046 | How to Cite or Link Using DOI (2009). Chandra, D. and Yang, S. Capillary-force-Induced clustering of micropillar arrays: Is it caused by isolated capillary bridges or by the lateral capillary meniscus interaction force? Langmuir 25, 10430-10434, doi:10.1021/la901722g (2009). Chandra, D., Yang, S., Soshinsky, A.A. and Gambogi, R.J. Biomimetic ultrathin whitening by capillary-force-induced random clustering of hydrogel micropillar arrays. ACS Appl. Mater. Interf. 1, 1698-1704, doi:10.1021/am900253z (2009). Chen, B.G., Alexander, G.P. and Kamien, R.D. Symmetry breaking in smectics and surface models of their singularities. Proc. Natl. Acad. Sci. 106, 15577, doi:10.1073_pnas.0905242106 (2009). Choi, S., Isaacs, A., Clements, D., Liu, D., Kim, H., Scott, R.W., Winkler, J.D. and DeGrado, W.F. De novo design and in vivo activity of conformationally restrained antimicrobial arylamide foldamers. Proc. Natl. Acad. Sci. 106, 6968, doi:10.1073/pnas.0811818106 (2009). Christian, D.A., Cai, S., Garbuzenko, O.B., Harada, T., Zajac, A.L., Minko, T. and Discher, D.E. Flexible filaments for in vivo imaging and delivery: Persistent circulation of filomicellopens the dosage window for sustained tumor shrinkage. ACS – Molecular Pharmaceutics 6, 1343–1352 (e-online) doi:10.1021/mp900022m (2009). Christian, D.A., Garbuzenko, O.B., Minko, T. and Discher, D.E. Polymer vesicles with a red cell-like surface charge: Microvascular imaging and in vivo tracking with near-infrared fluorescence. Macromolecular Rapid Communications 31, 135-141, doi:10.1002/marc.200900589 (2009). Chung, H.S., Jung, Y., Kim, S.C., Kim, D.H., Oh, K.H. and Agarwal, R. Epitaxial growth and ordering of GeTe nanowires on microcrystals determined by surface energy minimization. 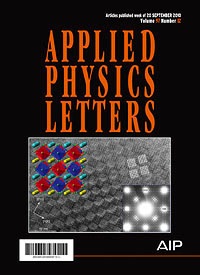 Nano Letters 9, 2395-2401, doi:10.1021/nl9009765 (2009). Coelho, J.F.J., Gois, J., Fonseca, A.C., Carvalho, R.A., Popov, A.V., Percec, V. and Gil, M.H. Synthesis of poly(2-methoxyethyl acrylate) by single electron transfer-degenerative transfer living radical polymerization catalyzed by Na2S2O4 in water. J. Polym. Sci. Pol. Chem. Part a-Polym. Chem. 47, 4454-4463, doi:10.1002/pola.23548 (2009). Desai, R.A., Gao, L., Raghavan, S., Liu, W.F. and Chen, C.S. Cell polarity triggered by cell-cell adhesion via E-cadherin. Journal of Cell Science 122, 905 (2009). Discher, D.E., Mooney, D.J. and Zandstra, P.W. Growth factors, matrices, and forces combine and control stem cells. Science 324, 1673, doi:10.1126/science.1171643 (2009). Duncan, T.V. and Park, S.-J. A new family of color-tunable light-emitting polymers with high quantum yields via the controlled oxidation of MEH−PPV. J. Phys. Chem. B 113, 13216-13221, doi:10.1021/jp907720a (2009). Faiella, M., Andreozzi, C., de Rosales, R.T.M., Pavone, V., Maglio, O., Nastri, F., DeGrado, W.F. and Lombardi, A. An artificial di-iron oxo-protein with phenol oxidase activity. Nature Chemical Biology 5, 882-884, doi:10.1038/nchembio.257 (2009). Goldberg, S.D., Derr, P., DeGrado, W.F. and Goulian, M. Engineered single-and multi-cell chemotaxis pathways in E. coli. Mol. Systs. Biol. 5, 283, doi:10.1038/msb.2009.41 (2009). Guvendiren, M., Heiney, P.A. and Yang, S. Precipitated calcium carbonate hybrid hydrogels: structural and mechanical properties. Macromolecules 42, 6606–6613, doi:10.1021/ma9012576 (2009). Guvendiren, M., Yang, S. and Burdick, J.A. Swelling-induced surface patterns in hydrogels with gradient crosslinking density. Adv. Funct. Mater. 19, 3038-3045, doi:10.1002/adfm.200900622 (2009). He, F., Nair, G.R., Soto, C.S., Chang, Y., Hsu, L., Ronzone, E., DeGrado, W.F. and Binns, A.N. Molecular basis of ChvE function in sugar binding, sugar utilization, and virulence in agrobacterium tumefaciens. J. Bacteriology 191, 5802, doi:10.1128/JB.00451-09 (2009). Hegmann, T., Qi, H., Kinkead, B., Marx, V.M., Girgis, H., Heiney, P.A., Varin, R.A., Czujko, T., Wronski, Z.S. and Zaranski, Z. Functionalized metal and semiconductor nanoparticle doped liquid crystals-modifying optical and electro-optical properties. Canadian Metallurgical Quarterly 48 (2009). Imam, M.R., Peterca, M., Edlund, U., Balagurusamy, V.S.K. and Percec, V. Dendronized supramolecular polymers self-assembled from dendritic ionic liquids. Journal of Polymer Science Part a-Polymer Chemistry 47, 4165-4193, doi:10.1002/pola.23523 (2009). Janmey, P.A., Winer, J.P. and Weisel, J.W. Fibrin gels and their clinical and bioengineering applications. Journal of the Royal Society Interface 6, 1-10, doi:10.1098/rsif.2008.0327 (2009). Jennings, A.T., Jung, Y., Engel, J. and Agarwal, R. Diameter-controlled synthesis of phase-change germanium telluride nanowires via the vapor-liquid-solid mechanism. J. Phys. Chem. C 113, 6898-6901, doi:10.1021/jp901845c (2009). Jiang, X., Fleischmann, S., Nguyen, N.H., Rosen, B.M. and Percec, V. Cooperative and synergistic solvent effects in SET-LRP of MA. J. Polymer Sci. Part a-Polymer Chemistry 47, 5591-5605, doi:10.1002/pola.23689 (2009). Jiang, X., Rosen, B.M. and Percec, V. Mimicking “nascent” Cu (0) mediated SET-LRP of methyl acrylate in DMSO leads to complete conversion in several minutes. J. Polymer Sci. Part A: Polymer Chemistry 48, 403-409, doi:10.1002/pola.23797 (2009). Johnson, R.R., Rego, B.J., Johnson, A.T.C. and Klein, M.L. Computational study of a nanobiosensor: A single-walled carbon nanotube functionalized with the coxsackie-adenovirus receptor. J. Phys. Chem. B 113, 11589-11593, doi:10.1021/jp901999a (2009). Jung, Y., Yang, C.Y., Lee, S.H. and Agarwal, R. Phase-change Ge-Sb nanowires: Synthesis, memory switching, and phase-instability. Nano Lett. 9, 2103-2108, doi:10.1021/nl900620n (2009). Kamien, R.D., Nelson, D.R., Santangelo, C.D. and Vitelli, V. Extrinsic curvature, geometric optics, and lamellar order on curved substrates. Phy. Rev. E. 80, 051703 (2009). Kang, H., Wen, Q., Janmey, P.A., Tang, J.X., Conti, E. and MacKintosh, F.C. Nonlinear elasticity of stiff filament networks: Strain stiffening, negative normal stress, and filament alignment in fibrin gels†. J. Phys. Chem. B 113, 3799-3805 (2009). Katz, J.S., Levine, D.H., Davis, K.P., Bates, F.S., Hammer, D.A. and Burdick, J.A. Membrane stabilization of biodegradable polymersomes. Langmuir 25, 4429-4434, doi:10.1021/la803769q (2009). Khare, K., Zhou, J. and Yang, S. Tunable open-channel microfluidics on soft poly(dimethylsiloxane) (PDMS) substrates with sinusoidal grooves. 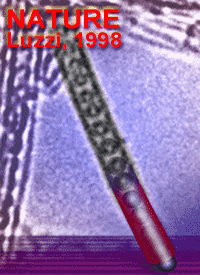 Langmuir 25, 12794-12799, doi:10.1021/la901736n (2009). Khurana, E., Peraro, M.D., DeVane, R., Vemparala, S., DeGrado, W.F. and Klein, M.L. Molecular dynamics calculations suggest a conduction mechanism for the M2 proton channel from influenza A virus. Proc. Natl. Acad. Sci. 106, 1069-1074 (2009). Kim, A.J., Kaucher, M.S., Davis, K.P., Peterca, M., Imam, M.R., Christian, N.A., Levine, D.H., Bates, F.S., Percec, V. and Hammer, D.A. Proton Transport from Dendritic Helical-Pore-Incorporated Polymersomes. Advanced Functional Materials 19, 2930-2936, doi:10.1002/adfm.200900076 (2009). Kim, Y., Tewari, M., Pajerowski, J.D., Cai, S., Sen, S., Williams, J., Sirsi, S., Lutz, G. and Discher, D.E. Polymersome delivery of siRNA and antisense oligonucleotides. J. Controlled Release 134, 132-140, doi:doi:10.1016/j.jconrel.2008.10.020 (2009). Klein, E.A., Yin, L., Kothapalli, D., Castagnino, P., Byfield, F.J., Xu, T., Levental, I., Hawthorne, E., Janmey, P.A. and Assoian, R.K. Cell-cycle control by physiological matrix elasticity and in vivo tissue stiffening. Current Biology 19, 1511-1518, doi:DOI 10.1016/j.cub.2009.07.069 (2009). Koder, R.L., Anderson, J.L.R., Solomon, L.A., Reddy, K.S., Moser, C.C. and Dutton, P.L. Design and engineering of an O2 transport protein. Nature 458, 305-309, doi:10.1038/nature07841 (2009). Kota, A. and Winey, K.I. Polymer nanocomposites with carbon nanotubes, in McGraw-Hill Yearbook of Science and Technology 2009 (McGraw-Hill Book Co., New York, NY) 297-301 (2009). Kuroda, K., Caputo, G.A. and DeGrado, W.F. The Role of hydrophobicity in the antimicrobial and hemolytic activities of polymethacrylate derivatives. Chemistry-a European Journal 15, 1123-1133, doi:10.1002/chem.200801523 (2009). Latka, A., Han, Y., Alsayed, A.M., Schofield, A.B., Yodh, A.G. and Habdas, P. Particle dynamics in colloidal suspensions above and below the glass-liquid re-entrance transition. Europhys. Lett. 86, 58001, doi:10.1209/0295-5075/86/58001 (2009). Lau, A.W.C. and Lubensky, T.C. Fluctuating hydrodynamics and microrheology of a dilute suspension of swimming bacteria. Phys. Rev. E 80, 011917, doi:10.1103/PhysRevE.80.011917 (2009). Legant, W.R., Pathak, A., Yang, M.T., Deshpande, V.S., McMeeking, R.M. and Chen, C.S. Microfabricated tissue gauges to measure and manipulate forces from 3D microtissues. Proceedings of the National Academy of Sciences of the United States of America 106, 10097-10102, doi:10.1073/pnas.0900174106 (2009). Lemmon, C.A., Chen, C.S. and Romer, L.H. Cell traction forces direct fibronectin matrix assembly. Biophys. J. 96, 729-738 (2009). Levental, I., Byfield, F.J., Chowdhury, P., Gai, F., Baumgart, T. and Janmey, P.A. Cholesterol-dependent phase separation in cell-derived giant plasma-membrane vesicles. Biochem. J. 424, 163-167, doi:10.1042/bj20091283 (2009). Lichtenstein, B.R., Cerda, J.F., Koder, R.L. and Dutton, P.L. Reversible proton coupled electron transfer in a peptide-incorporated naphthoquinone amino acid. Chem. Comm. 2009, 168-170, doi:10.1039/b815915g (2009). Liu, F., Dumont, C., Zhu, Y., DeGrado, W.F., Gai, F. and Gruebele, M. A one-dimensional free energy surface does not account for two-probe folding kinetics of protein D. J.Chem. Phys. 130, 061101 (2009). Liu, M.L., Huang, F.Q., Chen, L.D. and Chen, I.W. A wide-band-gap p-type thermoelectric material based on quaternary chalcogenides of CuZnSnQ (Q= S, Se). Appl. Phys. Lett. 94, 202103, doi:10.1063/1.3130718 (2009). Liu, M.-L., Chen, I.-W., Huang, F.-Q. and Chen, L.-D. Improved Thermoelectric Properties of Cu-Doped Quaternary Chalcogenides of Cu2CdSnSe4. Adv. Mater. 21, 1-5, doi 3808-3812 (2009). Liu, M.-L., Huang, F.-Q., Chen, L.-D. and Chen, I.-W. A wide-band-gap p-type thermoelectric material based on quaternary chalcogenides of Cu2ZnSnQ4 (Q = S,Se). Appl. Phys. Lett. 94 (20), 202103-202106, doi:doi:10.1063/1.3130718 (2009). Liu, T.Y., Hu, S.H., Liu, D.M., Chen, S.Y. and Chen, I.W. Biomedical nanoparticle carriers with combined thermal and magnetic responses. 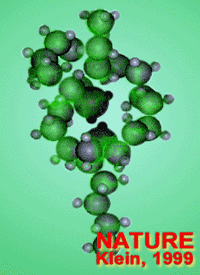 Nano Today 4, 52-65, doi:10.1016/j.nantod.2008.10.011 | (2009). Liu, T.-Y., Liu, K.-H., Liu, D.-M., Chen, S.-Y. and Chen, I.-W. Temperature-sensitive nanoparticles for controlled drug release caused by magnetically triggered structure disruption. Adv. Func. Mater. 19, 1-8 (2009). Luo, Z., Vora, P.M., Mele, E.J., Johnson, A.T.C. and Kikkawa, J.M. Photoluminescence and band gap modulation in graphene oxide. Appl. Phys. Lett. 94, 111909, doi:10.1063/1.3098358 (2009). Ma, C., Polishchuk, A.L., Ohigashi, Y., Stouffer, A.L., Schön, A., Magavern, E., Jing, X., Lear, J.D., Freire, E., Lamb, R.A., DeGrado, W.F. and Pinto, L.H. Identification of the functional core of the influenza A virus A/M2 proton-selective ion channel. Proc. Natl. Acad. Sci. 106, 12283-12238, doi:10.1073/pnas.0905726106 (2009). Matsumoto, E.A. and Kamien, R.D. Elastic-instability triggered pattern formation. Phys. Rev. E 80, doi:021604 10.1103/PhysRevE.80.021604 (2009). McConnell, M.D., Bassani, A.W., Yang, S. and Composto, R.J. Tunable wetting of nanoparticle-decorated polymer films. Langmuir 25, 11014 (2009). McConnell, M.D., Liu, Y., Nowak, A.P., Pilch, S., Masters, J.G. and Composto, R.J. Bacterial plaque retention on oral hard materials: Effect of surface roughness, surface composition, and physisorbed polycarboxylate. J. Biomed. Materials Res. Part A 92A, 1518-1527 (2009). McConnell, M.D., Yang, S. and Composto, R.J. Covalent nanoparticle assembly onto random copolymer cilms. Macromolecules 42, 517-523, doi:10.1021/ma8023156 (2009). 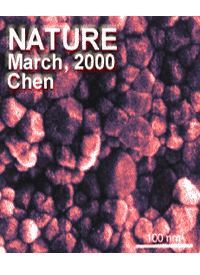 McConnell, M.D., Yang, S. and Composto, R.J. Covalent nanoparticle assembly onto random copolymer films, 2009). McGarry, J.P., Fu, J., Yang, M.T., Chen, C.S., McMeeking, R.M., Evans, A.G. and Deshpande, V.S. Simulation of the contractile response of cells on an array of micro-posts. Philosophical Transactions of the Royal Society a-Mathematical Physical and Engineering Sciences 367, 3477-3497, doi:10.1098/rsta.2009.0097 (2009). Nguyen, N.H., Jiang, X., Fleischmann, S., Rosen, B.M. and Percec, V. The effect of ligand on the rate of propagation of Cu(0) wire catalyzed SET-LRP of MA in DMSO at 25 degrees C. .Journal of Polymer Science Part a-Polymer Chemistry 47, 5629-5638, doi:10.1002/pola.23691 (2009). Nguyen, N.H., Rosen, B.M., Jiang, X., Fleischmann, S. and Percec, V. New efficient reaction media for SET-LRP produced from binary mixtures of organic solvents and H2O. J. Polymer Sci. Part A: Polymer Chem. 47, doi:10.1002/pola.23665 (2009). Nguyen, N.H., Rosen, B.M., Lligadas, G. and Percec, V. Surface-dependent kinetics of Cu (0)-wire-catalyzed single-electron transfer living radical polymerization of methyl acrylate in DMSO at 25°C. Macromolecules 42, 2379-2386, doi:10.1021/ma8028562 CCC: (2009). Ostuni, E., Whitesides, G.M., Ingber, D.E. and Chen, C.S. Using self-assembled monolayers to pattern ECM proteins and cells on substrates. Methods Mol. Biol. 522, 183-194, doi:10.1007/978-1-59745-413-1_12 (2009). Park, S., Xu, Y., Stowell, X.F., Gai, F., Saven, J.G. and Boder, E.T. Limitations of yeast surface display in engineering proteins of high thermostability. Protein Engineering Design and Selection 19, 211-217 (2006). Percec, V., Imam, M.R., Peterca, M., Wilson, D.A. and Heiney, P.A. Self-assembly of dendritic crowns into chiral supramolecular spheres. J. Am. Chem. Soc. 131, 1294-1304, doi:DOI: 10.1021/ja8087778 (2009). Percec, V. and Sienkowska, M.J. Synthesis of the four-arm star-block copolymer[PVC-b-PBA-CH (CH 3)-CO-O-CH 2] 4 C by SET-DTLRP initiated from a tetrafunctional initiator. J. Polymer Sci., Part A, Polymer Chem. 47, 628-634, doi:10.1002/pola.23188 (2009). Qi, T., Grinberg, I. and Rappe, A.M. First-principles investigation of the highly tetragonal ferroelectric material Bi ( Zn1/2 Ti1/2 ) O3. Phys. Rev. B. 79, 094114, doi:10.1103/PhysRevB.79.094114 (2009). Rehfeldt, F., Cai, S. and Discher, D.E. Regulating stem cell differentiation by controlling 2D and 3D matrix elasticity. (2009). Rosen, B.M., Jiang, X., Wilson, C.J., Nguyen, N.H., Monteiro, M.J. and Percec, V. The disproportionation of Cu(I)X mediated by ligand and solvent into Cu(0) and Cu(II)X-2 and its implications for SET-LRP. .Journal of Polymer Science Part a-Polymer Chemistry 47, 5606-5628, doi:10.1002/pola.23690 (2009). Rosen, B.M., Lligadas, G., Hahn, C. and Percec, V. Synthesis of dendritic macromolecules through divergent Iterative thio-bromo “Click” chemistry and SET-LRP. Journal of Polymer Science Part a-Polymer Chemistry 47, 3940-3948, doi:10.1002/pola.23518 (2009). Rosen, B.M., Lligadas, G., Hahn, C. and Percec, V. Synthesis of dendrimers through divergent iterative thio-bromo “click” chemistry. J. Polym. Sci. Pol. Chem. Part a-Polymer Chemistry 47, 3931-3939, doi:10.1002/pola.23519 (2009). Rosen, B.M. and Percec, V. Single-electron transfer and single-electron transfer degenerative chain transfer living radical polymerization. Chem. Rev. 109, 5069-5119, doi:10.1021/cr900024j (2009). Rosen, B.M., Wilson, C.J., Wilson, D.A., Peterca, M., Imam, M.R. and Percec, V. Dendron-mediated self-assembly, disassembly, and self-organization of complex systems. Chem. Rev. 109, 6275-6540, doi:10.1021/cr900157q (2009). Saven, J.G. Computational protein design: Advances in the design and redesign of biomolecular nanostructures. Current Opinion in Colloid & Interface Science 15, 13-17, doi:10.1016/j.cocis.2009.06.002 (2009). Sen, S., Engler, A.J. and Discher, D.E. Matrix strains induced by cells: Computing how far cells can feel. Cell. Molec.Bioeng. 2, 39-48, doi:10.1007/s12195-009-0052-z (2009). Shokef, Y. and Liu, A.J. Jamming mechanisms and density dependence in a kinetically-constrained model. Arxiv preprint arXiv:0909.0740 (2009). Shokef, Y. and Lubensky, T.C. Stripes, zigzags, and slow dynamics in buckled hard spheres. Phys. Rev. Lett. 102, 48303, doi:10.1103/PhysRevLett.102.048303 (2009). Sienkowska, M.J., Rosen, B.M. and Percec, V. SET-LRP of vinyl chloride initiated with CHBr3 in DMSO at 25°C. J.Polymer Sci. Part A: Polymer Chem. 47, 4130-4140, doi:10.1002/pola.23536 (2009). Signarvic, R.S. and DeGrado, W.F. Metal-binding vependent disruption of membranes by designed helices. J. Am. Chem. Soc 131, 3377-3384, doi:10.1021/ja809580b (2009). Simone, E.A., Dziubla, T.D., Discher, D.E. and Muzykantov, V.R. Filamentous polymer nanocarriers of tunable stiffness that encapsulate the therapeutic enzyme catalase. Biomacromolecules 10, 1324-1330, doi:10.1021/bm900189x (2009). Souslov, A., Liu, A.J. and Lubensky, T.C. Elasticity and response in nearly isostatic periodic lattices. Phys. Rev. Lett. 103, 205503 (2009). Szep, S., Park, S., Boder, E.T., Van Duyne, G.D. and Saven, J.G. Structural coupling between FKBP12 and buried water. Proteins 74, 603-611, doi:10.1002/prot.22176 (2009). Tang, J., Kang, S.-G., Saven, J.G. and Gai, F. Characterization of the cofactor-induced folding mechanism of a zinc-binding peptide using computationally sesigned mutants. J. Mol. Biol. 389, 90-102, doi:10.1016/j.jmb.2009.03.074 (2009). Tee, S.Y., Bausch, A.R. and Janmey, P.A. The mechanical cell. Current Biology 19, R745-R748, doi:doi:10.1016/j.cub.2009.06.034 (2009). Tenney, R.M. and Discher, D.E. Stem cells, microenvironment mechanics, and growth factor activation. Current Opinion in Cell Biology 21, 630-635, doi:10.1016/j.ceb.2009.06.003 (2009). Therien, M.J. Physical chemistry: How to improve your image. Nature 458, 716-717, doi:doi:10.1038/458716b; (2009). Tronin, A., Strzalka, J., Krishnan, V., Kuzmenko, I., Fry, H.C., Therien, M. and Blasie, J.K. Portable UV-visible spectrometer for measuring absorbance and dichroism of Langmuir monolayers at air-water interfaces. Rev.f Sci. Instru. 80, 033102, doi:10.1063/1.3089807 (2009). Tsai, J.C. and Gollub, J.P. Granular packings sheared in an annular channel: Flow localization and grain size dependence. Physical Review E 72, 051304, doi:10.1103/PhysRevE.72.051304 (2005). Uibo, R., Laidmae, I., Sawyer, E.S., Flanagan, L.A., Georges, P.C., Winer, J.P. and Janmey, P.A. Soft materials to treat central nervous system injuries: Evaluation of the suitability of non-mammalian fibrin gels. 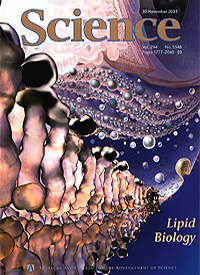 Biochimica Et Biophysica Acta-Molecular Cell Research 1793, 924-930, doi:10.1016/j.bbamcr.2009.01.007 (2009). Wang, J., Cady, S.D., Balannik, V., Pinto, L.H., DeGrado, W.F. and Hong, M. Discovery of spiro-piperidine inhibitors and their modulation of the dynamics of the M2 proton channel from influenza A virus. J. Am. Chem. Soc 131, 8066-8076, doi:10.1021/ja900063s (2009). White, S.I., DiDonna, B.A., Mu, M., Lubensky, T.C. and Winey, K.I. Simulations and electrical conductivity of percolated networks of finite rods with various degrees of axial alignment. Phys. Rev. B 79, 024301, doi:10.1103/PhysRevB.79.024301 (2009). Willis, L.J., Fairfield, J.A., Dadosh, T., Fischbein, M.D. and Drndic, M. Controlling nanogap quantum dot photoconductivity through optoelectronic trap manipulation. Nano Lett. 9, 4191-4197, doi:10.1021/nl9024209 (2009). Winer, J.P., Janmey, P.A., McCormick, M.E. and Funaki, M. Bone Marrow-Derived Human Mesenchymal Stem Cells Become Quiescent on Soft Substrates but Remain Responsive to Chemical or Mechanical Stimuli. Tissue Engineering Part A 15, 147-154, doi:10.1089/ten.tea.2007.0388 (2009). Winer, J.P., Oake, S. and Janmey, P.A. Non-Linear Elasticity of Extracellular Matrices Enables Contractile Cells to Communicate Local Position and Orientation. PLos One 4, e6382, doi:10.1371/journal.pone.0006382 (2009). Winey, K.I. Book Review of Polymer Microscopy, Third Edition by L.C. Sawyer D.T. Grubb & G.F. Meyers, J.Am. Chem. Soc. 131 3408 (2009). Winey, K.I., Salas-del la Cruz, D. and Heiney, P.A. Environmental chamber for multiple-angle X-ray Scattering. USA patent (2009). Xu, N., Haxton, T.K., Liu, A.J. and Nagel, S.R. Equivalence of glass transition and colloidal glass transition in the hard-sphere limit. Phys. Rev. Lett. 103, doi:24570110.1103/PhysRevLett.103.245701 (2009). Xu, Y., Zhu, X. and Yang, S. Crack-Free 3D Hybrid Microstructures from Photosensitive Organosilicates as Versatile Photonic Templates. ACS Nano 3, 3251-3259, doi:10.1021/nn9007803 (2009). Yunker, P., Zhang, Z., Aptowicz, K.B. and Yodh, A.G. Irreversible rearrangements, correlated domains, and local structure in aging glasses. Phys. Rev. Lett 103, 115701, doi:10.1103/PhysRevLett.103.115701 (2009). Zhang, Y., Kulp, D.W., Lear, J.D. and DeGrado, W.F. Experimental and computational evaluation of forces directing the association of transmembrane helices. J. Am. Chem. Soc 131, 11341–11343, doi:10.1021/ja904625b (2009). 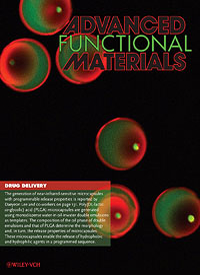 Zhang, Y., Reed, J.C. and Yang, S. Creating a library of complex metallic nanostructures via harnessing pattern transformation of a single PDMS membrane (Cover). 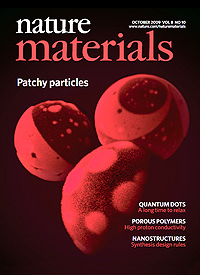 ACS Nano 3, *Cover 2412-2418, doi:10.1021/nn900650n (2009). Zhao, M.H., Bonnell, D.A. and Vohs, J.M. Influence of ferroelectric polarization on the energetics of the reaction of 2-fluoroethanol on BaTiO3. 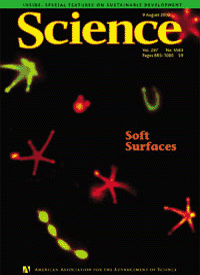 Surface Science 603, 284-290, doi:10.1016/j.susc.2008.11.023 (2009). Zhu, X., Zhang, Y., Chandra, D., Cheng, S.-C., Kikkawa, J.M. and Yang, S. Two-dimensional photonic crystals with anisotropic unit cells imprinted from PDMS membranes under elastic deformation, <http://link.aip.org/link/?PSI/7223/72231C/1> (2009). Zou, H., Liu, J. and Blasie, J.K. Mechanism of interaction between the general anesthetic halothane and a model ion channel protein, III: molecular dynamics simulation incorporating a cyanophenylalanine spectroscopic probe. Biophys. J. 96, 4188-4199, doi:10.1016/j.bpj.2009.01.054 (2009). Brown, A.E.X., Litvinov, R.I., Discher, D.E., Purohit, P.K. and Weisel, J.W. Multiscale mechanics of fibrin polymer: Gel stretching with protein unfolding and loss of water. 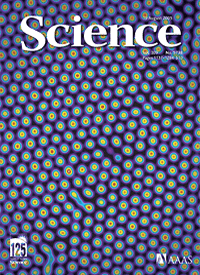 Science 325, 741, doi:10.1126/science.1172484 (2009). Chen, H., Choi, J.H., Salas-de La Cruz, D., Winey, K.I. and Elabd, Y.A. Polymerized ionic liquids: The effect of random copolymer composition on ion conduction. Macromolecules 42, 4809-4816, doi:10.1021/ma900713e (2009). Chen, H., Gwee, L., Choi, J.-H., Salas-de la Curz, D., Winey, K.I. and J.-H.Elabd, Y.A. in Polymeric Materials: Science and Engineering, American Chemical Society Vol. 100 696-697 (Salt Lake City, 2009). Kang, Y.K., Lee, O.S., Deria, P., Kim, S.H., Park, T.H., Bonnell, D.A., Saven, J.G. and Therien, M.J. Helical wrapping of single-walled carbon nanotubes by water soluble poly(p-phenyleneethynylene). Nano Lett. 9, 1414-1418, doi:10.1021/nl8032334 (2009). Liu, J., Zou, H., Strzalka, J., Tronin, A., Johansson, J.S. and Blasie, J.K. Mechanism of interaction between the volatile anesthetic halothane and a model ion channel protein: fluorescence and infrared spectroscopy employing a cyano-phenylalanine probe and molecular dynamics simulation. Biophys. J. 96, 4176-4187 (2009). Nikiforov, M.P., Kehr, S.C., Park, T.H., Milde, P., Zerweck, U., Loppacher, C., Eng, L M., Therien, M.J., Engheta, N., and Bonnell, D. Probing polarization and dielectric function of molecules with higher order harmonics in scattering–near-field scanning optical microscopy. J. Appl. Phys. 106, 114307 (2009). Park, J.-H., Sun, Y., Goldman, Y.E. and Composto, R.J. Amphiphilic block copolymer films: phase transition, stabilization, and nanoscale templates. Macromolecules 42, 1017-1023, doi:DOI: 10.1021/ma8023393 (2009). Tamami, M., DSalas-de la Cruz, D., Winey, K.I. and Long, T.E. 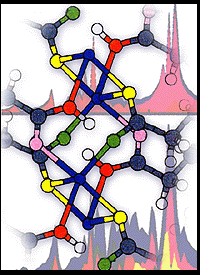 Structure-property relationships of water-soluble, 12,6/12-random copolymer ammonium ionenes. Vol. 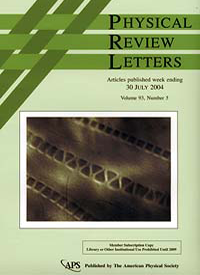 50, 635-636 (Polymer Preprints, American Chemical Society, Washington, DC, 2009). Toworfe, G.K., Bhattacharyya, S., Composto, R.J., Adams, C.S., Shapiro, I.M. and Ducheyne, P. Effect of functional end groups of silane self-assembled monolayer surfaces on apatite formation, fibronectin adsorption and osteoblast cell function. J. Tissue Eng. Regen. Med. 3, 26-36, doi:10.1002/term.131 (2009). Wang, W., Chan, T.T., Perkowski, A.J., Schlick, S. and Winey, K.I. Local structure and composition of the ionic aggregates in Cu(II)-neutralized poly(styrene-co-methacrylic acid) ionomers depend on acid content and neutralization level. Polymer 50, 1281-1287, doi:10.1016/j.polymer.2009.01.007 (2009). Winey, K.I. “Combining electron microscopy, X-ray scattering, and depth profiling methods to probe the nanoscale morphologies in ion-containing polymers, in New Advances in Polymer Characterization, Topical Conference, Society of Plastics Engineering, Wilmington, DE (2009).